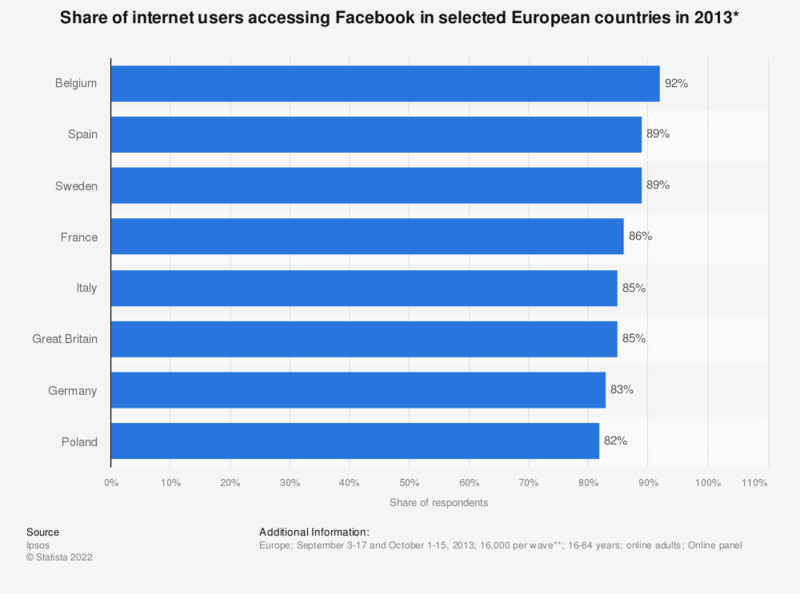 This statistic shows the share of online adults that reported accessing Facebook in selected European countries in 2013. As of fall 2013, 85 percent of respondents in Great Britain reported accessing Facebook in the past month. * The original survey question was, "Which of the following social media sites, if any, have you accessed in the last month?"